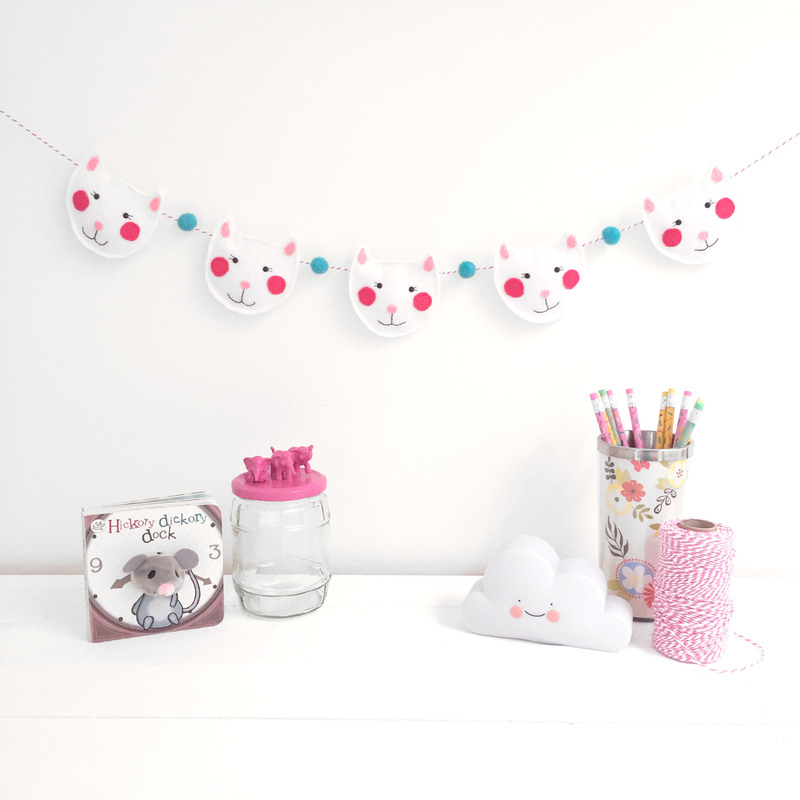 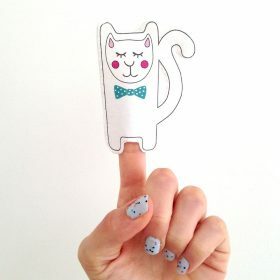 A super cute cat garland, perfect for your child’s room, nursery or playroom. 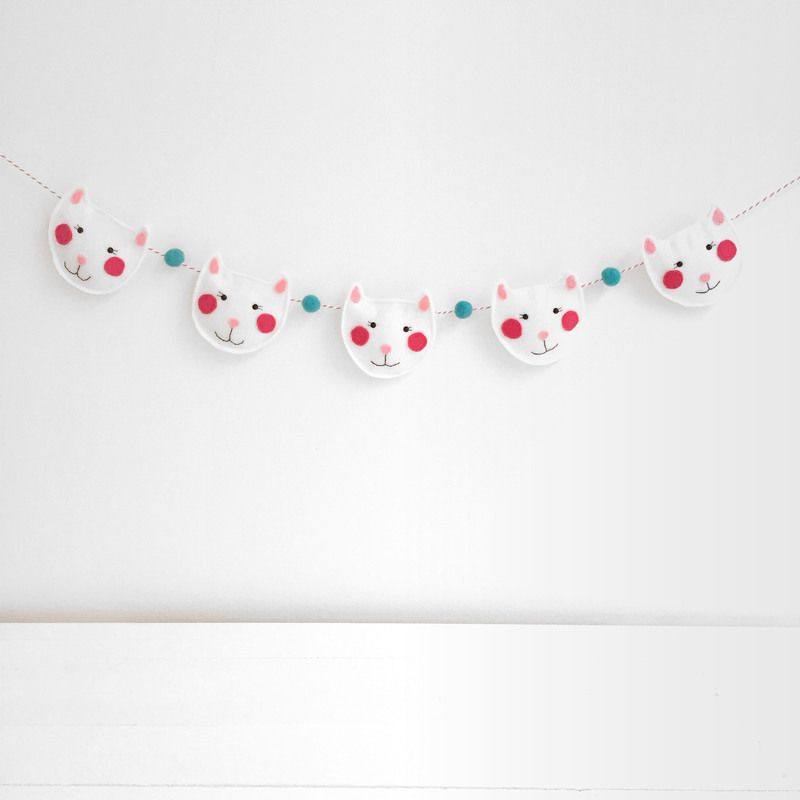 Each cat’s face is made from wool felt and each character is stitched onto pink and white twine. 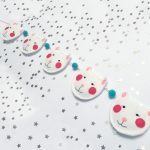 Turquoise felt balls sit between each cat. 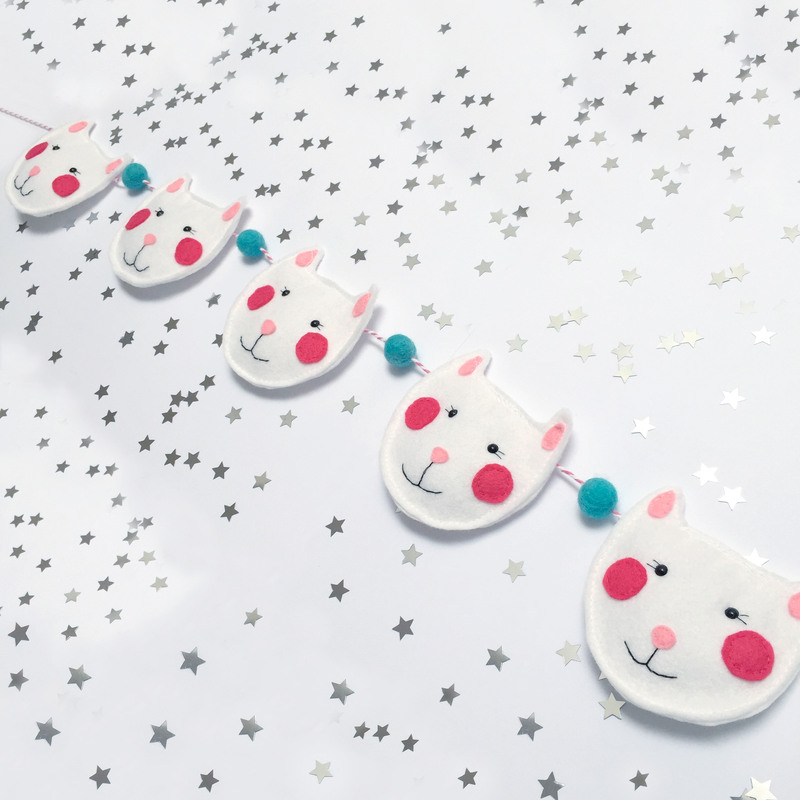 Both the cats and the felt balls slide along the twine, allowing you to adjust their spacing as you wish. Overall the bunting measures 110 cm in length. 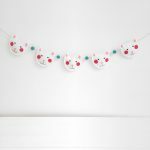 Please note this garland is not a toy and should be securely displayed out of reach of any children.